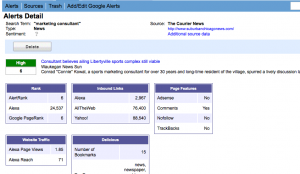 Tag Archives for " google alerts "
Don’t be alarmed by that title – I’m not talking about stealing content for gain, I’m talking about adding the filtering and aggregating of content to your content consumption, creation and sharing routine. It should go without saying that giving credit to the original source and full attribution to the author when appropriate is a must. Creating a habit of filtering content related to your industry, products, competitors and customers will make you better at what you do, allow you to keep up with trends and give you data to help you build deeper relationships with customers. Pointing out useful resources and good finds is a great way to build your social media and blog followings. Consistently sharing relevant links and sharing them on Twitter is a strategy that many find helps them be seen as follow worthy. Creating a once a week blog post roundup of good stuff is a great way to add content and keep readers engaged. A more advanced strategy is to use your filter skills to create your own industry research briefs. If you specialize in several market niches you can create laser specific new pages and email newsletter roundups that feature the best of what you find each week. You can even use RSS technology to deliver dynamically changing web content password protected for your best clients. AllTop – This site collects what it believes is the all the top blog content on a large number of topics and displays the last posts from each of these sources. This should be a daily stop for most. You can also build your own custom page here and use this as your RSS reader. Delicious – This is my favorite bookmarking site. As I surf the web I mark sites here with tags that I define. It’s a place to categorize content, find new content and create custom RSS feeds of the content you find. If you are trying to create pages for customers you simply define a tag for the customer and then set-up an RSS feed that streams your hand picked content. StumbleUpon – A service that helps you stumble upon content related to topics of interest that you define. Browser toolbar makes it very easy for you to go looking. I’ve used this technique on numerous occasions to find unique content to share on Twitter. Business Exchange – Business Week’s community platform allows users to submit content related to specific topics. Twitter Advanced Search – Using the Twitter advanced search function you can set up a search like this: “small business” OR entrepreneur OR “start up” filter:links to bring you tweets for a specific topic that contain links. This is a great way to keep up with what’s being shared on a specific topic and since the search produces an RSS feed you can send it to your Google Reader or even publish it to an HTML page. Google Reader – Subscribe to relevant industry blogs and have a library to read any time you have some down time. You can also set up a custom TwitterFeed to tweet your shared Google Reader items adding a hand selected way to share more content as you read. Google Alerts – Create custom searches for things like brands, people and products and have any mentions delivered to your inbox or reader. Instapaper– A simple tool for saving web pages to read later but in a nice custom newspaper kind of format. Phone, Kindle and iPad apps available. Feedburner – This is Google’s tool that allows you to enhance your RSS feeds. For purpose of this post I point to the Feed feature that makes it very easy for your to take and RSS feed and publish to a web page. Here’s an example where I’ve take hand selected delicious feed mention of my book, The Referral Engine, and streamed them on a web page. Bonus: Notice the RSS feed of Twitter mentions doing the same thing. This article originally appeared on American Express OPEN Forum and is one of the most retweeted articles I’ve ever written so I thought I would share it with you here. As a marketing tool Twitter gets much more interesting and useful when you can filter out 99% of the junk that doesn’t apply to your objectives and focus on the stuff that matters. The basic search.twitter.com functionality is fine for searching things that are being said about your search terms. The advanced search function offers more ways to slice and dice the stream, but still leaves some room for improvement as it only searches what’s being said and where. From a marketing standpoint who is saying it might be more useful. Now that the search engines are all pretty geeked up over real time search you can create some very powerful searches and alerts combining Google and Twitter. Let’s say you have a business that sells an awesome service to attorneys. A simple search on Twitter will turn up thousands of mentions of the word attorney, but many of them will be from people talking about this or that attorney or the need to hire or not hire one. That’s probably not very helpful for your purposes. However, if you cruise over to Google and use a handful of operators from the Google shortcut library (more on that here) you can create a search that plows through Twitter and gives you a list of all the users that have the word “attorney” in their title (username and/or real name) – Click on this search phrase and see what happens – intitle:”attorney * on twitter” site:twitter.com – what you’ll find is a handy list of attorneys of one sort or another on Twitter. Without getting too technical, this search basically asks Google to look in the title attribute of profile pages on Twitter – obviously you can use any word to replicate this. The * tells Google to find the words “attorney on Twitter” without regard to order or other words – “on Twitter” appears in the title of every profile page so we need that term to make sure we search profile pages only. In some cases searching through the optional biographical information can be more helpful than the username or real name fields. Maybe you’re looking for a very specific term or some of the folks you are targeting only reference their profession in their bio. Google search to the rescue here again. This time add the intext attribute, the word bio and our key phrase to search bios – So a search for web designers would look like this – intext:”bio * web designer” site:twitter.com. When you look at this list you might notice that none of the people on the list would have been found by searching in their title, as in the first tip, for web designer. Try it both ways to test for best results. Location search by itself is simple using the Twitter advanced search tool – if you want a list of people in Austin you would use this in Twitter – near:”Austin, TX” within:25mi and Twitter would use the location field to show you Austin Tweeters. But . . . let’s say you wanted to target salons in Austin or maybe the whole of Texas – it’s back to Google to mix and match – (intitle:”salon * on twitter” OR intext:”bio * salon”) intext:”location * TX” site:twitter.com – we search the title, bio and location to get a very targeted list of Salons in Texas on Twitter. Note the OR function for multiple queries. Another handy thing about using any of the searches above is that you can also use the exact operators to create Google Alerts. By going to Google and putting in your search string as described above you’ll get everything they have now, but by setting up an alert you’ll get an email or RSS alert when a new attorney (or whatever you’re targeting) joins Twitter – I can think of some powerful ways to reach out to that new person just trying to find some new friends! Some of the best information shared on Twitter comes in the form of shared links. In other words people tweet out good stuff they find and point people to it using a link. I love to use a filtered Twitter search to further wade through research on entire industries, but reduce the noise by only following tweets that have links in them and eliminating retweets that are essentially duplicates – “small business” OR entrepreneur OR “start up” filter:links – this gets that job done and produces an RSS feed if I want to send it to Google Reader. 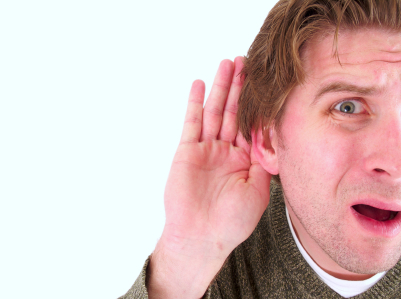 Don’t forget the “quotation marks” around two or more word phrases or you will get every mention of small and business. Lots of people set up basic searches to listen to what their competitors are saying and what others are saying about the competition. I would suggest you take it one step further and create and follow a search that also includes what the conversation they are having with the folks they communicate with – not just what people are saying about them, but to them and vice versa – from:comcastcares OR to:comcastcares. Photos have become very big on Twitter and the real time nature of the tool means photos show up there before they show up most anywhere. If you want to find an image related to a hot trend, or anything for that matter, simply put the search phase you have in mind follow by one of the more well known Twitter image uploading services such as TwitPic and you’ll get nothing but images. So, your search on Twitter might be – olympics twitpic OR ow.ly (You can add more photosharing sites to expand the search). There, Twitter just go way more interesting didn’t it? One of the biggest road blocks facing small businesses when addressing social media is the question of return on investment. With so little time devote to what’s crying out to be done, adding something else or something new like social media can feel like a real burden. Sometimes the only way to rationalize and prioritize something new is to understand the benefits in relation to everything else your doing and take a new view based on that understanding. So much of what’s written on social media amounts to lists of things you should do, get on twitter, blog, create a Facebook fan page, and not enough on why you might consider doing it. While all those tactics may indeed be wise, I would like suggest a number of ways to use those actions to do a better or more efficient job doing things you’re already (or should be) doing. Start to think in terms of doing more with less effort, not simply doing more. If I can let small business owners get a glimpse of social media through this lens, they might just decide to go a little deeper. Here are five ways to look at it. I love using social media tools as a way to follow-up with prospects you might meet out there in the real world. So you go to a Chamber event and meet someone that has asked you to follow-up. Traditionally, you might send an email a week later or call them up and leave a voice mail. What if instead you found them on LinkedIn, asked to be connected and then shared an information rich article that contained tips about the very thing you chatted about at the Chamber mixer. Then you offered to show them how to create a custom RSS feed to get tons of information about their industry and their competitors. Do you think that next meeting might get started a little quicker towards your objectives? I sure do. Once someone becomes a customer it’s easy to ignore them, assuming they will call next time they need something or, worse yet, assuming they understand the full depth and breadth of your offerings and will chime in when they have other needs. Staying in front of your customers and continuing to educate and upsell them is a key ingredient to building marketing momentum and few businesses do it well. This is an area where a host of social media tools can excel. A blog is a great place to put out a steady stream of useful information and success stories. Encouraging your customers to subscribe and comment can lead to further engagement. Recording video stories from customers and uploading them to YouTube to embed on your site can create great marketing content and remind your customer why they do business with you. Facebook Fan pages can be used as a way to implement a client community and offer education and networking opportunities online. Keeping up with what’s happening in any industry is a task that is essential these days. With unparalleled access to information many clients can learn as much or more about the products and solutions offered by a company as those charged with suggesting those products and solutions. You better keep up or you risk becoming irrelevant. Of course I could extend this to keeping up with what your customers, competitors, and key industry journalists are doing as well. It’s probably impossible to provide too much customer service, too much of a great experience, but you can go nuts trying. Using the new breed of online tools you can plug some of the gaps you might have in providing customer service and, combined with your offline touches, create an experience that no competitor can match. While some might not lump this tool into social media, I certainly think any tool that allows you to collaborate with and serve your customers qualifies. Using an online project management tool such as Central Desktop allows you to create an entire customer education, orientation, and handbook kind of training experience one time and then roll it out to each new customer in a high tech client portal kind of way. This approach can easily set you apart from anyone else in your industry and provide the kind of experience that gets customers talking. Building a strong network of strategic marketing partners is probably the best defense against any kind of economic downturn. One of the surest ways to attract potential partners is to build relationships through networking. Of course you know that, but you might not be viewing this kind of networking as a social media function. If you identify a potential strategic partner, find out if they have a blog and start reading and commenting. Few things will get you noticed faster than smart, genuine blog comments. Once you establish this relationship it might make sense to offer a guest blog post. If your use a CRM tool (and you should) you’ve probably noticed that most are moving to add social media information to contact records, add your potential partners social media information and you will learn what’s important to them pretty quickly. If you know how to set up a blog already, offer to create a blog of network partners so each of you can write about your area of expertise and create some great local SEO for the group. So, you see, you don’t have to bite into the entire social media pie all at once. Find a tool, a technique, a tactic that makes your life easier today and provides more value for partners, prospects and customers and you’ll be on the path to getting some real ROI on your social media investment. What social media tactics have you discovered that allow you to do more of something you’re already doing? If you follow my writing you know that I’m a big fan of setting up routines that let you listen in on what’s being said about your brands, products, people, industry and competitors using free tools like Google Alerts. 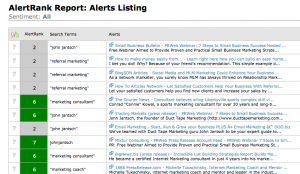 Google Alerts let you set-up custom searches and then have any mention of that search term sent to your RSS Reader (like Google Reader) or email in box as they happen or at the end of the day. This is a great way to keep tabs on things that matter without needing to scour the web universe for this kind of intel. You can set up very specific searches such as your name or broad searches so you know who is talking about a concept like referral marketing. Recently I came across a tool call Alert Rank that works hand in hand with Google Alerts to make them smarter. You see, Google picks up everything, including the very low value content scraper sights that simply republish other people’s stuff. 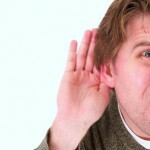 One of the main ideas behind keeping tabs on what’s being said is it allows you to jump in and join the conversation. Few things make a blogger happier than when someone they mention in a post shows up and adds a comment. Alert Rank looks at the mentions of your alert terms and gives you solid information about the quality of the mention. Now quality is a loaded term, but what Alert Rank does is measure things like numerous inbound links to the site, PageRank, no follow, comments allowed, and delicious tags to come up with a quality score about the link. You still get the alerts in your inbox, but you can quickly use the quality score to decide if you need to jump right in. You can also click through to get lots of information about the site that mentions your term. This is simply a much better way to manage alerts and find networking opportunities. Alert Rank also offer reporting tools that make it easy for anyone that monitors alerts for clients to set-up custom reports in excel of PDF format. The one thing I need to tell you though is that if you already have alerts created you will need to set-up a new Google account and create your alerts again using your custom Alert Rank email as that’s how the alerts get routed through the Alert Rank system. It’s not a big deal, but may not be readily apparent when you first read the set-up instructions. All in all it took me about five minutes to get it going and it works wonderfully. Check twitter via Tweetdeck – preset searches for @ducttape, john jantsch, and duct tape marketing – respond as I see fit, follow some @replies that seem appropriate. Scan mybloglog – I obsess over traffic, but this reveals trending links and stumble surges in real time so I can react if appropriate. Strategize on ways to repurpose and repackage any and all of this in ways that make it more accessible to another audience. For some this just seems crazy – others will notice some obvious glaring holes in this system – the point though is the system approach. Set your system up and work it, day in and day out, whatever that means for you, and then you will start to understand the vital role that social media can come to play in your overall marketing strategy. This is my way and one way only – please share your tips for managing the beast! Garnering great press for your business is a powerful marketing strategy and as such, journalists should be on your radar as a target market. Now, instead of abusing them with buy (press releases) messages, how about starting by building some know, like and trust before you ever ask for the order – that’s just good marketing. The absolute best way to do this is to become a resource to a select group of journalists that report on your industry or businesses in your community. As a resource your primary job is to help them do their job better by sending along industry information, adding to stories they write and commenting on potential resources and angles they might consider – nothing to do with selling your business or story. If you do this I can almost guarantee you will start getting calls to provide quotes in stories as a reliable source. Here’s how to make the job of journalist relationship building easier. Then you can visit your Reader page, see if anything from one of your journalists pops up and go make a relevant comment on their blog, drop an industry study in mail or suggest a follow-up angle to their story through a hand-written note. This entire process should take just minutes a day and can even be delegated once it’s up and running. Get in the habit of checking and responding at least several times a week. A reader asked me how to get Google Alerts to post to Twitter automatically so I thought maybe others would like to know as well. Google Alerts allows you set-up a custom alert notification anytime Google picks up whatever you track – name, product, company, industry, etc. Initially you could only get email alerts but now these alerts can come via RSS. So, getting your Google Alerts to post to Twitter is pretty easy now. To get them to post to Twitter you need a go between like Twitterfeed. 2) Then go to your twitterfeed account and link that URL to your Twitter account and you should be done. The posts will go to Twitter at whatever frequency you set up in your Google Alerts – daily or as they happen. This works equally well if you want to post your blog feed, or any RSS for that matter, to Twitter. I don’t know that this is a great, primary strategy for Twitter use, but it can be a way to mix in some tweets, but beware, whatever Google Alerts catches will post to your Twitter stream unfiltered. I’m a big fan of Google Alerts because it allows you to easily monitor all kinds of names and phrases online, including the writing of journalists you might be targeting for story ideas. The service made what I think is a nice upgrade over the weekend. Now you can get your alerts via email, as before, and via RSS. So you can subscribe to alerts and have them delivered to your Google Reader page instead of email. I like this because it allows you to more easily file, sort and share the alerts with the built in tools, but, now that it’s RSS you can bend it some other cool ways. For example, let’s say you are tracking mentions of your awesome product via alerts. You get it sent to your Google Reader account, you like what your read so you hit the Share feature in Google Reader and the alert content shows up on the your Facebook profile via the Feedheads application or post your RSS to Twitter via Twitterfeed. I hope you know about and are using Google Alerts – it’s a nice way to get info delivered to your email inbox or RSS reader for specific search terms you want to monitor. 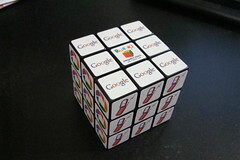 But, you can also use a number of the Google shortcuts and search parameters to create some interesting alerts. 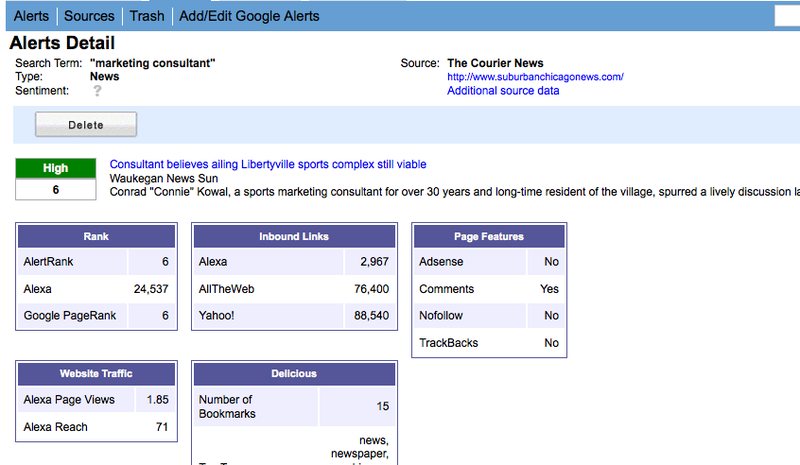 For instance, let’s say you want to create an alert for anytime that Google picks up on someone linking to your blog. On top of being a potentially nice monitoring feature it’s also a great networking tactic. If someone is reading and linking to your blog, you might want to comment back. For this kind of alert go to Google Alerts and put this in the search term box – link:http://www.yourblogurl.com (yourblogurl is of course the address of your blog). In the “type” box, choose comprehensive or just blog if you only want blog links. You can also select daily, weekly and as-it-happens delivery. This is yet another one of those things you should be paying attention to and the more you can automate it the better.